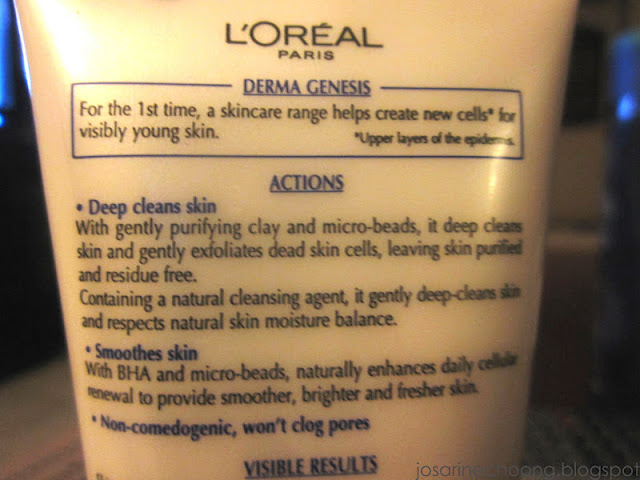 Since young i have been using facial cleansers from the drug stores. Firstly is because i used to fall for the advertisements i see on television, and the ad products are often available in drug stores that are convenient for me. 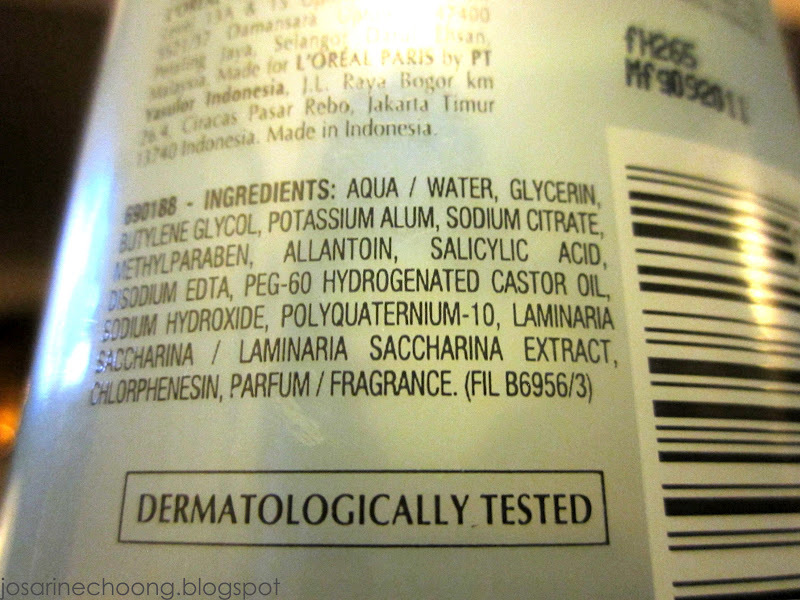 I have tried from Clean and Clear, Neutrogena, Simple, Biore, Ponds, and Nivea. Honestly, the brands listed above have served me well. But unfortunately, my skin has chosen to be loyal to one brand. 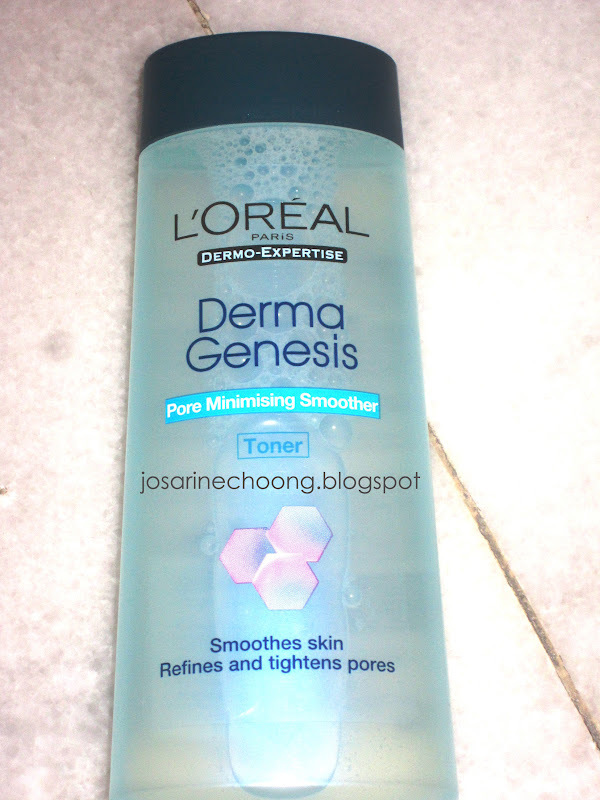 Introducing the L'oreal Derma Genesis Poor Minimising Smoother. 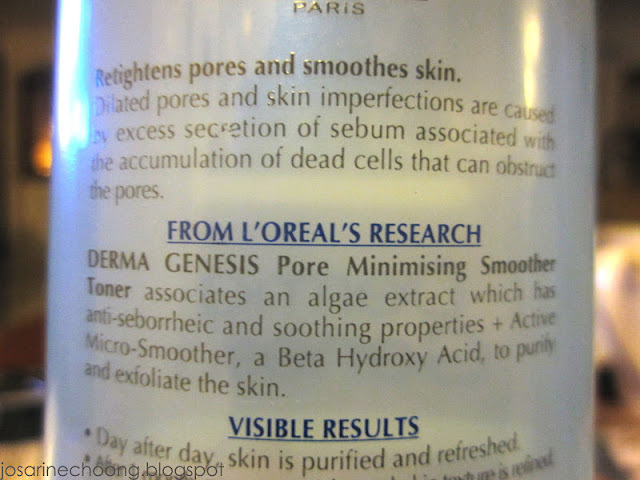 Before the new range of L'oreal called "Derma Genesis" was introduced, i was using L'oreal as well, but i guess they upgraded their products, hence the changed name. With gentle purifying clay and microbeads, it deep cleanses skin and gently exfoliates dead skin cells, leaving skin purified and residue free. Containing a natural cleansing agent, it gently deep-cleans skin and respects natural skin moisture balance. With BHA and micro-beads, naturally enhances daily cellular renewal to provide smoother, brighter, and fresher skin. One thing i like about this product is that it is in clay form, unlike most other facial foams that are soapy. Second thing that attracted me is the many micro-beads in the product. 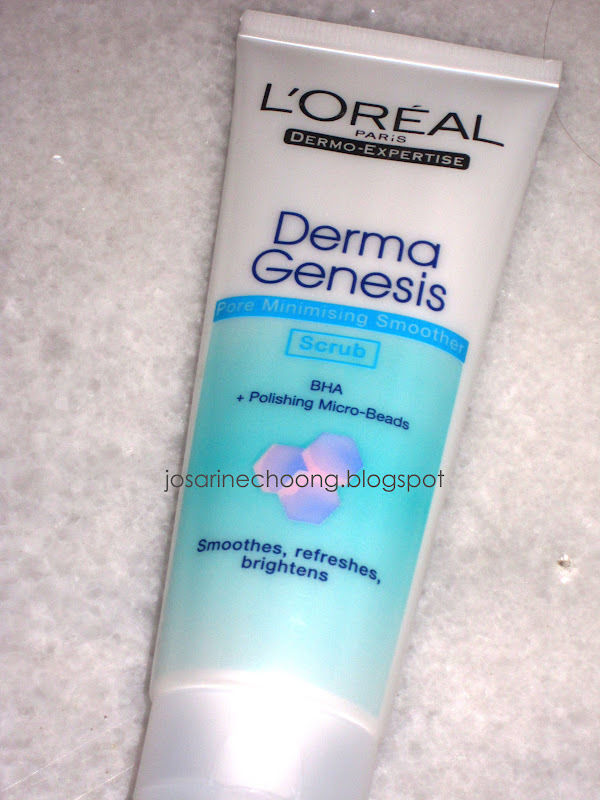 When i wash my face with this product, i feel like the micro-beads are gently scrubbing out the white and black heads. To some people it may feel harsh, but the proper way to wash is to just gently rub your face in circular motion. The one more thing that kept me loyal to this product other than mentioned above, is the scent. After wash, my face did not look super clean like all the black and white heads are gone. Instead I noticed my black and white heads are more obvious. Based on my research on Google, those who have a lot of black and white heads, and acne problems, they should use products that contain salicylic acid. Unlike many facial cleansers that only cleanse the surface of the skin, salicylic acid will penetrate into pores cleansing from inside. In my opinion, the reason why my black and white heads look more obvious is because it is slowly pushing out the dirt from my pores. After few days of usage, the dirt has lessen. Though it is gently pushing out the dirt day by day, it doesn't mean you should just squeeze them out. Let the process work on its own naturally. The 3 important daily products for our face is the cleanser, toner, and moisturiser. 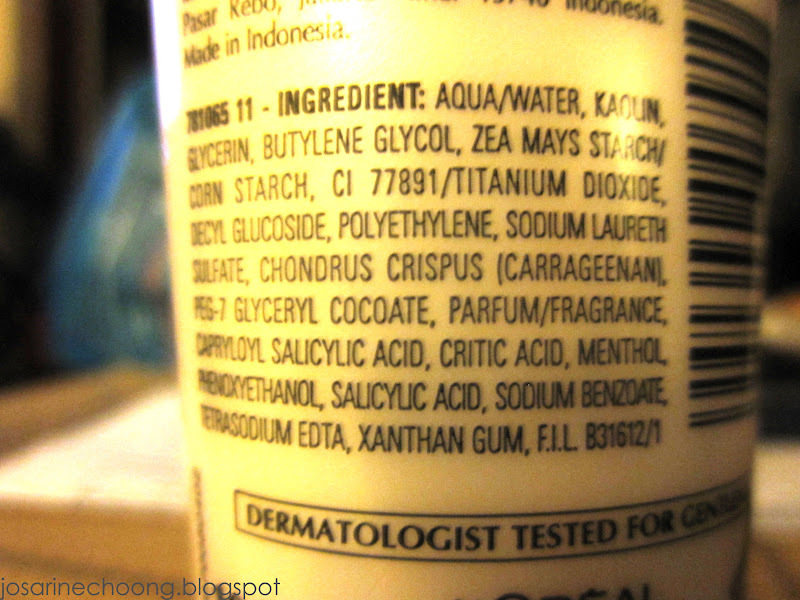 The toner plays a big role for me because it is supposed to tighten my pores after cleansing. I personally really like this toner because it smells mild, which also means lesser chemicals. I like how the toner is so water based that it is easily penetrated to pores. The toner also contains salicylic acid. After applying the toner, my face feels smoother, and relaxed. Most importantly it feels gentle on my skin. 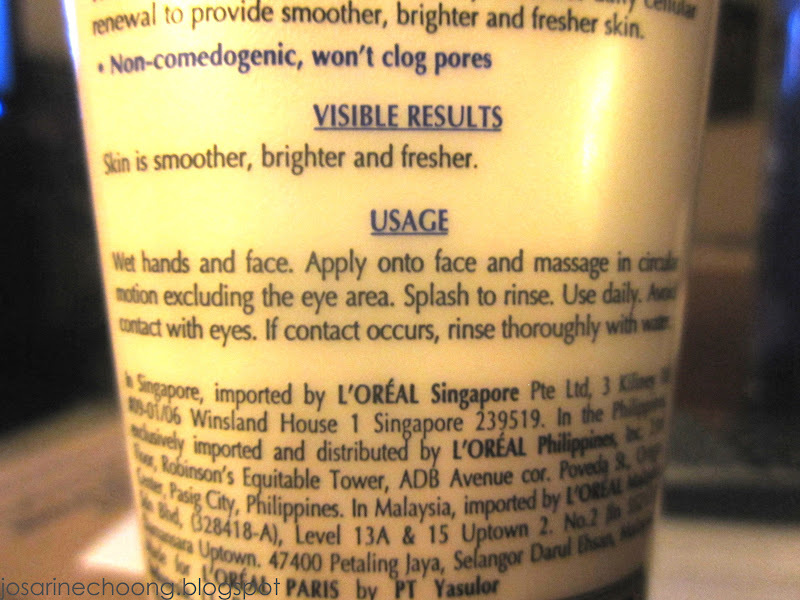 The moisturiser is something that i dislike last time because my face gets oily later in the day, so i would think there is no need for moisturising. But little did i know that the moisturiser for this range is perfect. By perfect i mean, once applied my face it does not feel oily, but feels softer and smoother. This product is slightly more expensive than the 2 above, it is around RM40 to RM50 which i can't remember. *The facial cleanser is pretty long lasting, can last up to half a year, or even to a year. 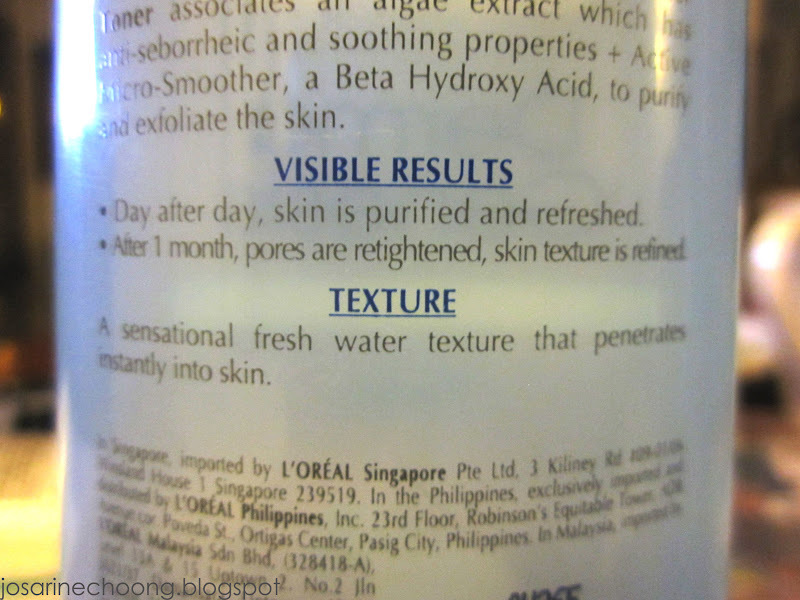 Toner however might finish faster than the cleanser. The moisturizer last pretty long as well.